American Express® and Nedbank have brought together two of their longstanding and successful partnerships, the British Film Institute and Virgin Atlantic Airways to offer a weekend in London to attend a gala screening as part of the 63rd BFI London Film Festival in October 2019 (tbc). As part of the 63rd BFI London Film Festival in October 2019 (exact dates tbc) you are invited to attend a Gala event in a London cinema. You and a guest are also invited to attend a pre-event drinks reception (Black tie attire) at a top London venue to collect your tickets and then you will walk the red carpet to the cinema. This is invitation-only event and is a fantastic evening with an opportunity to see a potential Award winning film before almost everyone else. · Chauffeur services within South Africa (departures from Johannesburg). · Chauffeur services in London to/from the Hotel Cafe Royal. Rewards Account on your American Express Card (T&Cs apply). Also in this lot are two paintings by acclaimed SA artist Willie Strydom. Bold and bright, filled with rich colouration, Strydom’s paintings celebrate his expressive talent for the portrayal of majestic Boland wineland and Klein Karoo mountain scenes, vineyards and coastal scenes, and even his love of the haphazard architecture of the Cape Malay Bo Kaap and old District Six. His colourful interpretations of life have found their way into galleries and private collections across South Africa and abroad. Canvas Painting by Willie Strydom, Reference number WS-170529. by Willie Strydom, Reference number WS-111605. 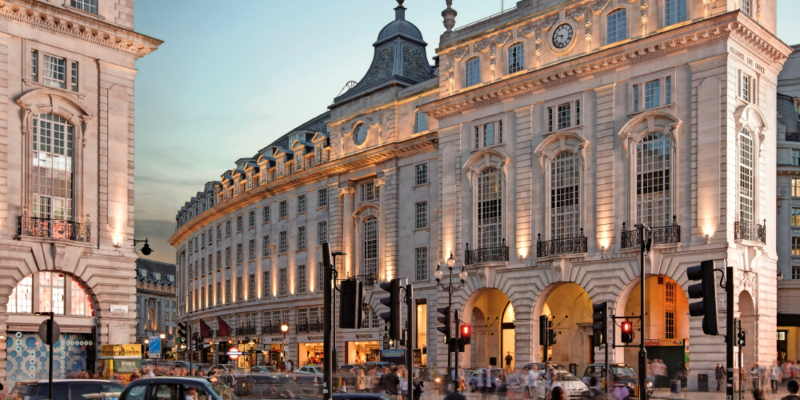 Two premium tickets from Johannesburg to London return including Clubhouse access in Johannesburg and London Heathrow courtesy of Virgin Atlantic Airways Ltd.
Three night bed and breakfast at the Hotel Cafe Royal in Regent Street, London. Two tickets to the 63rd BFI London Film Festival Opening Night Gala in October 2019. Two paintings by Willie Strydom. Account on your American Express Card (T&Cs apply).